Click on image for full effect. 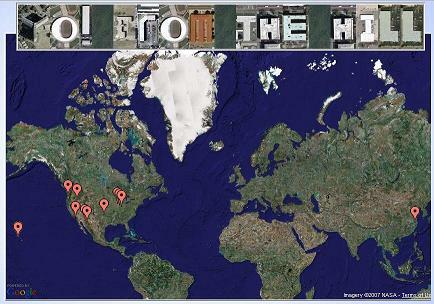 GeoGreetings creates custom online greeting cards using building images found with Google Maps. Jesse Vig, the cool app provider, is looking for help finding more buildings that look like letters. Thanks! to Jesse Vig, cool app provider at GeoGreeting, and to Stacy of She Dreams In Digital for the headzup.